What is Fire Marshal training? Our half day Fire marshal training courses are delivered by professional Firefighters. The Fire Marshal course can be delivered at your venue or at one of our UK venues. Attendees will receive advice and training from a real Firefighter covering the full roles and responsibilities of a designated Fire marshal. They will also learn basic fire safety procedures in the workplace and how to ensure your organisation is compliant with the law. It is a legal requirement to ensure you have an adequate number of staff trained to handle the safe and successful evacuation in the case of a fire emergency. You cannot add "Fire Marshal Training - Friday 15th of February 2019 13:00" to the basket because the product is out of stock. This course is designed for anyone wishing to obtain the skills, knowledge and confidence to monitor and control fire safety in any workplace environment. How long is a Fire Marshal course? Our Fire Marshal courses last approximately 3 hours depending on the knowledge of the group. The trainer will also incorporate a complimentary venue walk around when they visit your site. How many Fire Marshal’s do I need ? Fire safety training is also necessary when new employees are moved into a building or changes have been made to the emergency plan. Furthermore, fire safety training is also advised when working practices and processes or people’s responsibilities have changed or any risks in a building have changed. As a result, fire marshal training is needed if a person with mobility issues has been employed or a new member of staff has undertaken the role of a duty manager or fire marshal. The Regulatory Reform Fire Safety Order of 2005 requires employers to ensure that employees are provided with adequate emergency evacuation procedures and suitable fire safety knowledge including Fire awareness and Fire Marshal training. To conclude, fire safety training within any working environment is a legal requirement under this order. Are you interested in fire marshal training in London? You should contact Siren Training today. We are a dedicated training company that was set up by a group of Firefighters in 2013. With excellent knowledge in First Aid and Fire Safety, we are the best company to carry out your fire marshal training in London. Our team are experts in what they do and deliver interesting, enjoyable, lifesaving skills to all sectors. Our fire marshal training in London equips you with the knowledge and skills to protect yourself and others in the event of a fire. This course involves identifying fires, carrying out fire procedures, evacuating staff and tackling small fires. All our half day Fire marshal training courses in London are delivered by professional Firefighters. 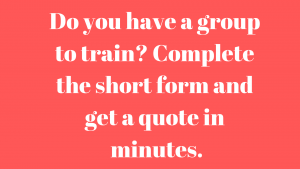 The training can either be carried out at your own venue or ours, it is really up to you. Attendees of the fire marshal training will receive their advice and training from a real Firefighter covering the full roles and responsibilities of a designated Fire marshal in the workplace. In your fire marshal training in London, you will learn basic fire safety procedures in the workplace and how to ensure your organisation is compliant with the law. You need to be aware that it is a legal business requirement to have an adequate number of employees trained to handle the safe and successful evacuation if a fire was to occur. Fire marshal training is compulsory when new employees are moved into a building or changes have been made to the emergency plan. If you have changed working practices and processes or people’s responsibilities within the business, our fire marshal training in London is very much advised. Another situation where fire marshal training is needed is if a disabled person has been employed (for the first time) or a new member of staff has undertaken the role of a duty manager or fire marshal. Our fire marshal training in London is very much worth it and allows you to be prepared and confident in handling the event of a fire. Are you interested in our fire marshal training in London? You should contact the Siren Training team today. Either give us a call on 0203 740 8088.